I must have the luck of the Irish because this is my lucky outfit! If you’ve been following my snaps (@hallwaysrunways), it might seem familiar. It’s pretty much my go-to night look these days. Both my crop top and high waist wide leg pants are from Forever21! I love a good find from there that doesn’t necessarily “look” like I’m dressing like a teenager. And since St. Patrick’s day is a big deal in Chicago, I’m part Chirish today.. haha. 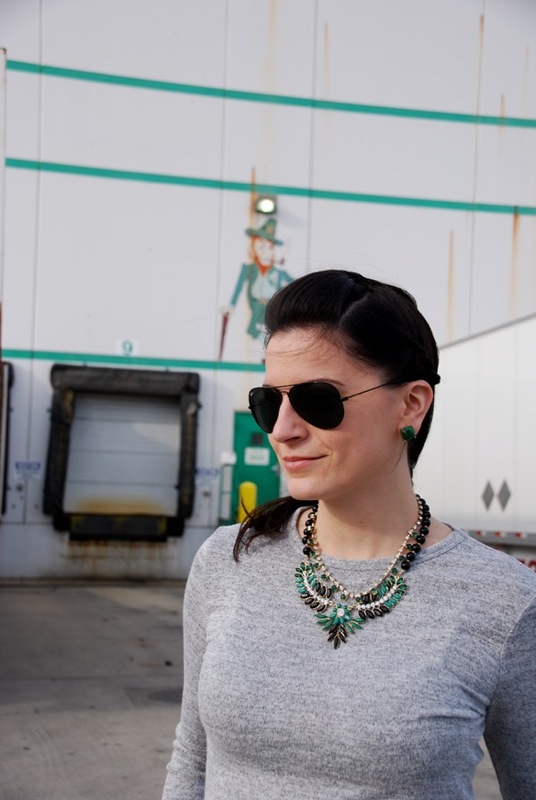 Now since I’m not decked out in head to toe green, I much prefer green accents like this statement necklace and earrings. The perfect “pop” of color. These earrings are just like my Kate Spade black earrings that I always wear, so now I’m glad I have these to switch it up a bit. If you like them too make sure to enter code “LIKEIT” when you checkout at Humble Chic NY and get 15% off. How is everybody celebrating today?